ROADFIGHTER! Is a simple yet challenging game requiring quick reaction times. 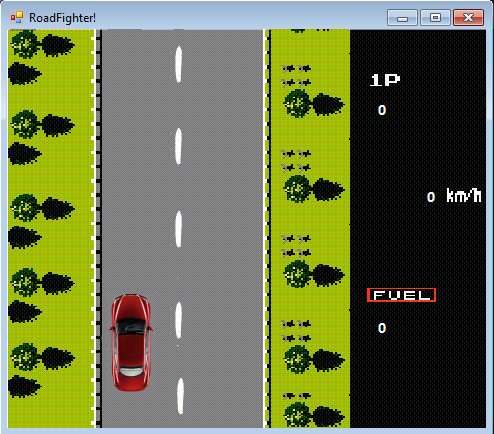 The objective of the game is to earn the most points without running out of fuel, the faster you go, the more points you get. move left and right using the arrow keys, press up to change into second gear to earn more points, for true thrill seekers, press NUMPAD 0 to change into third gear, and in turn, earn the maximum amount of points. press down to slow down. 4. (optional) check out entire game file including all source code!